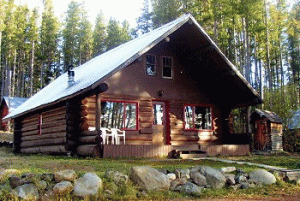 Postill Lake Lodge Fishing Resort offers you accommodations in comfortable lakefront cottages and cabins, plus lakefront or upper campsites and family fun including swimming, nature trials and mountain biking. Both a family resort and fly fishing resort, fishermen enjoy a choice of six excellent trout fly fishing lakes: Postill, Twin Lakes, Meadow Lake, South Lake, Roddy and Heron. All cabins at our resort are equipped with housekeeping facilities, with outhouses for each cabin, plus a central shower house complete with flush toilets. 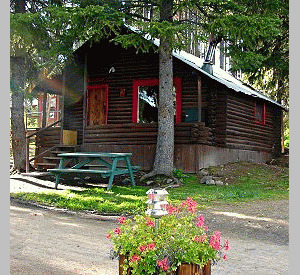 Some cabins have cold running water and toilets. We are a pet-friendly accommodation. Cottages are fully self-contained with hot and cold running water, toilets, showers and fridges. Our Lodge offers you the sights of many different kinds of animal skins, heads and antlers, plus some antiques which we hope that you have the opportunity of seeing. Lucky for us we are a considerable distance from the Okanagan Mountain Park Forest Fire area, so you will still be able to enjoy the beautiful scenery of the Postill Lake area. The turn off to Postill Lake is located between Kelowna and Vernon in the beautiful Okanagan region of British Columbia. 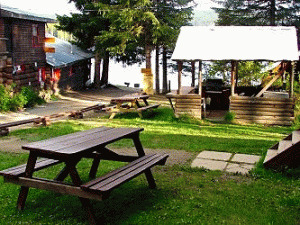 Please visit Postill Lake Lodge Website. This is the article for you if you don't have a lot of time in Kelwona.